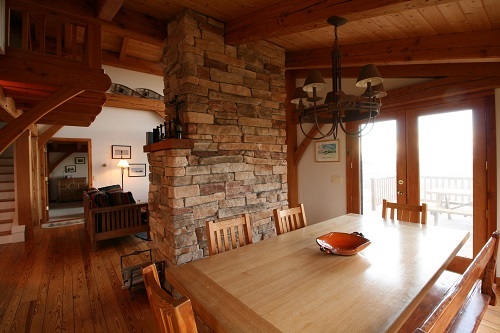 3094 sq ft timber frame house on the west side with 360-degree mountain views and private outdoor hot tub. 3 bedrooms, loft & finished basement sleep up to 11. 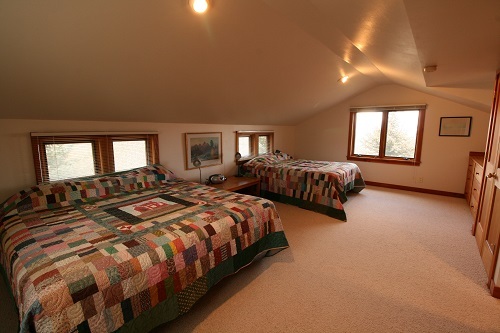 Master bedroom on main level has King bed and private bath. 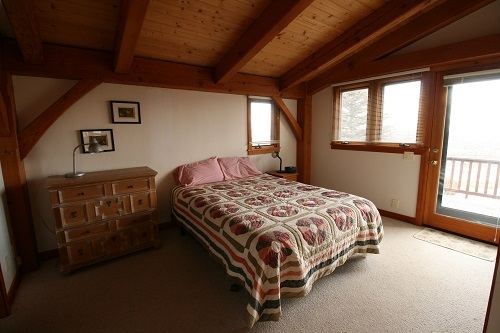 Upstairs has 2nd bedroom with 1 Queen and 1 King bed, and 3rd bedroom with 1 Queen bed. Finished basement contains an additional King bed. 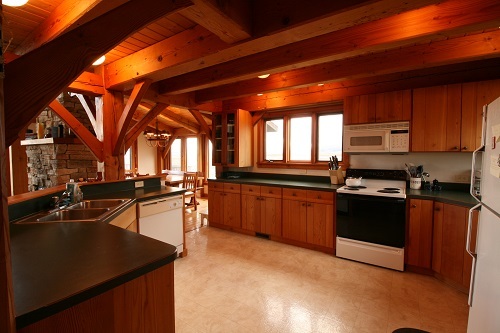 Fully equipped kitchen and dining area that seats 10 people. High chair and booster seat provided for the tiny adventure seekers in your family. 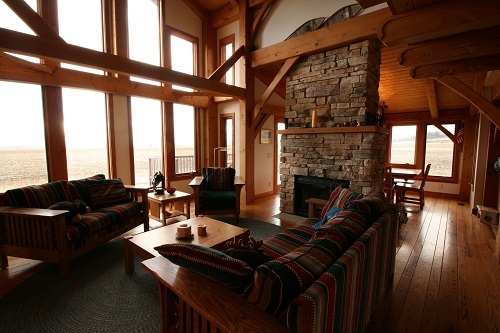 Cozy central fireplace perfect for warming up after a day of skiing or snowmobiling. Smart TV with access to your Netflix, Hulu, etc. Large play area in basement with ping pong table. Hiking, biking, and cross country ski trails within 2 miles into Horseshoe Canyon. 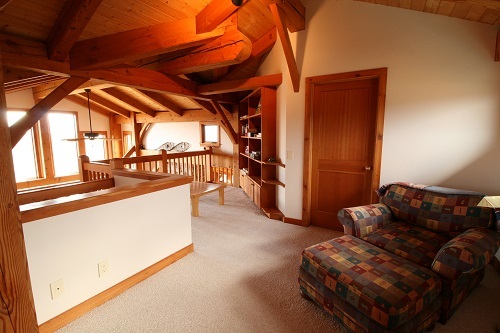 Loft space overlooks downstairs and has unbeatable mountain views from the large picture windows that face the Tetons. Finished basement has a ping pong table and play area. Very kid friendly- house has high chair, booster seat, stroller, playpen, toys and inflatables to be used in the neighborhood pond. Private outdoor hot tub facing Tetons, neighborhood pond for hot summer days, plus a 2 car garage.